Hypnosis is defined as a ‘relaxed, focussed state of concentration’. Most people experience hypnosis as a dreamy pleasant state, similar to the feelings we have just before falling asleep or immediately after waking or when day dreaming. It should be noted that hypnosis is NOT sleep but rather a special state in which the brain is more open and receptive to suggestion. A change in brain wave activity occurs and during this time the mind becomes more open to visualization and to sensory experience. This allows changes that occur on a deep subconscious level which may have a greater effect on your waking behaviour. 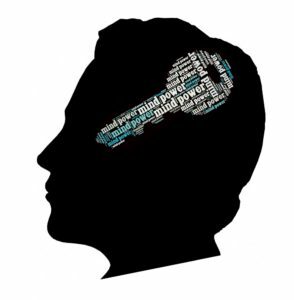 Hypnotherapy allows unique access to the unconscious mind by using a combination of hypnotic, psychodynamic, behavioural and cognitive behavioural techniques. Guided by the therapist, the motivated client is helped to access their mental and physical resources. Negative habits can be adapted for more appropriate behaviour. The client may also be helped to experience improved self-esteem and develop effective coping mechanisms and skills which can effect lasting and beneficial change in their lives. A session with a hypnotherapist will usually last for about an hour. The client will then sit or lie, fully clothed, in a reclining chair or on a couch as the therapist finds out what the client hopes to achieve. The therapist will take the client through a relaxation process and when the client is completely comfortable, the therapist will then guide the client into a deeper state of relaxation. The client is fully aware of what is going on in the room and is, at any time, able to open their eyes and end the session. The hypnotherapist is able to make specific suggestions such as, for example, the client will find the smell and taste of cigarettes completely unappealing; or that when in a crowded place, the client will in future remain calm and in control. Call the centre to book your hypnotherapy session or arrange a talk with a therapist.